We have further shortlisted the Top 3 out of Top 10 Conferencing Tools for Small and Medium Businesses. There are many ways in which you can do a conference with multiple participants on geographically different locations. The conference itself categorized in many types like meeting, collaboration, communication and implementation. On the basis of users, it is categorized as one to one, one to many, many to one and many to many. Here considerations are taken into account of small and medium business needs that can vary upon a number of users as well as the purpose of the conference. A conference can be conducted for various purposes such as sales and marketing, training, support etc. Thus, the tools are shortlisted such that it can fulfill all the requirements in affordable price. To do so, we put the stuff through the grinder and see what comes out, GoToMeeting, WebEx, and Skype ranked in top 3 conferencing tools. GoToMeeting provides a platform to do the online meeting with a video conference in a very professional way. Start your meeting with your favorite device, send out invites via phone, email or SMS and call at the specified time. You just have to click the link in the invite and you are on the go. It provides drawing tools to assist you explaining presentations in a better way. Video calling in HD is a plus point with the tool. It can schedule meeting instantly and also allow audio conferencing. The free trial is for a limited period. Download and installing tool at the end user side can be time-consuming. Cisco WebEx is well-known for its reliability. The tool enables you to do conference from several devices like mobile phones or tablets. The stand out feature that WebEx carries is easy to collaborate, you can share large files and save money. A productive and beneficial tool for small business. Tight integration with Outlook and Dropbox. 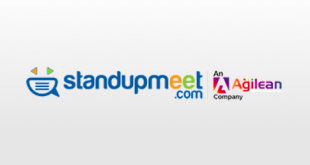 Allows you to record meetings in good quality. No integration with social media sites. It takes a while to load and glitches with the tool can be quite common. Skype is the most popular conferencing tool these days. The tool allows you to chat via text, voice and video. The only requirement is a device that can run the Skype and, at least, one person in the meeting room must register with Skype. It’s free for a person to person calls or group chat. A super-fast broadband connection is required for the quality conference. Security could be an issue, particularly when the participants are talking about confidential matters. All of three conferencing tools are emerging with outstanding features. If you are looking for a cheap conferencing tool for the general purpose for your business, Skype would be a great choice. If you are looking for a professional tool for online meeting, making one choice might be tough. 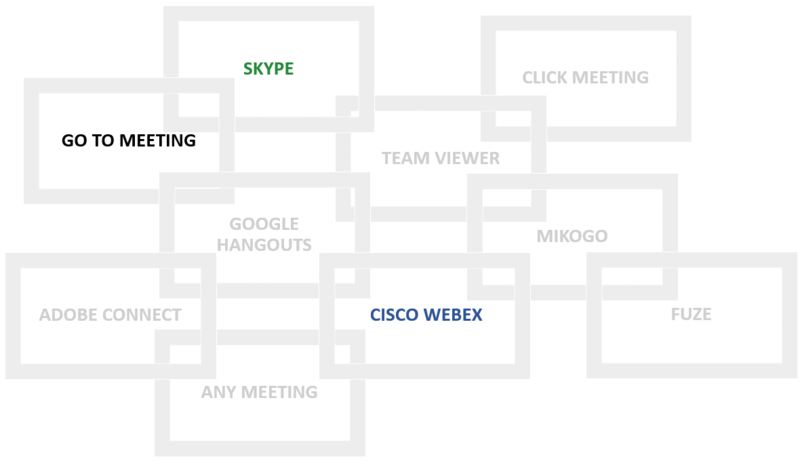 GoToMeeting and Cisco WebEx offer almost similar features, availability, mobility support and same cost. Both of web conference tools are best to use. However, GoToMeeting wins by its standout features and strong integrations with other apps. 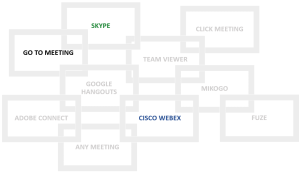 WebEx is also a good choice for business use, it provides all the facilities you might need. You can find the detailed Conferencing tools product reviews for GoToMeeting, Cisco WebEx, and Skype.